Review Sherlock offers you the possibility to analyze the performance of an application listed in the Apple App Store or the Mac App Store by taking into account the user ratings and reviews. The Review Sherlock utility can download reviews posted by users from all around the world, can generate graphs depicting the ratings, and even offers you the possibility to export the review or application data. 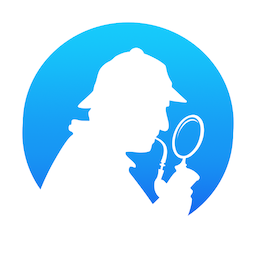 To start using the Review Sherlock analysis tool, you must specify the applications you want to observe: you can add them to the list by using the app ID included in the App Store or Mac App Store URL. Review Sherlock will automatically download the app information, yet you must manually start downloading the ratings and review via the Refresh menu. The utility will fetch the feedback offered by users from all stores, and you get to see the country code for each listing. Each user review included in the Review Sherlock main window comes with details about the user ID, given rating, app version, author name, and review title. To read the entire review content, you need to open an additional panel. Extra Review Sherlock tools offer you the possibility to see the in-depth app description, and generate colorful charts that can help you visualize the percent represented by each rating. For your convenience, Review Sherlock can help you query the author name on Google, Bing, or Twitter. The utility also offers instructions on how to contact Apple in case you have a good reason for a review to be removed from the store. To sum up, Review Sherlock provides quick access to all the ratings and reviews posted by users to the App Store or Mac App Store for a particular application. The Review Sherlock utility helps you read and analyze the data, but also offers you the possibility to export and backup the info.